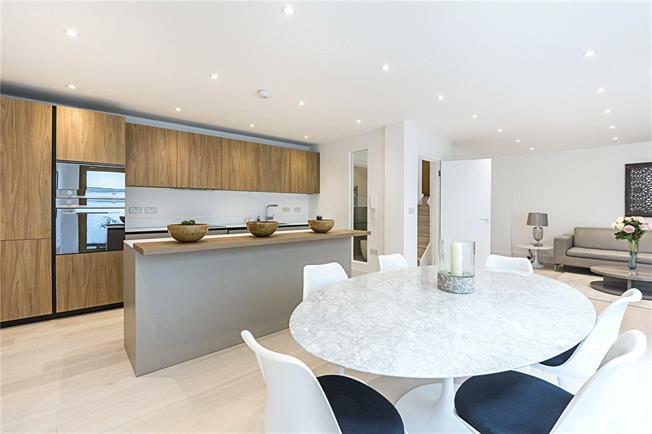 A meticulously designed new extension to Mortlake House in Chiswick, providing eight bespoke apartments, with attention to detail in all areas of the development, and terraces for the penthouse units. Located on Chiswick High Road, within close proximity to restaurants, boutiques and cafes. Chiswick has many parks, excellent transport links and a colourful cosmopolitan feel to it. 2 bedroom apartment located on 7th/top floor of coneniently located Mortlake house. Images are from another scheme by same developer. Mortlake House is on Chiswick High Road and only 4 minutes walk to Chiswick Park tube station. Chiswick is popular for so many reasons. With a huge range of places to eat and drink, and hopping in independent shops. Chiswick Park, Kew Gardens and Turnham Green and the Thames Side Walk, all offer places to relax and enjoy the green outdoors. There is even a nature reserve right on your doorstep. Close to Central London yet with a character all of its own. Chiswick is one of Londons most popular villages.